Located in the wonderful town of Ascona, in the South-East of Switzerland, the Jazz Cat Club is an intimate music venue presenting live jazz throughout the whole year. Promoting jazz is its number one priority and it successfully does so by inviting European and international stars to perform. The organising team is the one that, during the summer, puts together JazzAscona festival. The rest of the year, the Teatro il Gatto (which is the name of the place during non-jazz related nights) is the meeting point for art and theatre aficionados. Ascona might be familiar to those of you who had the chance to visit this beautiful town, with a romantic, breath-taking view on the Lake Maggiore, on holiday. Or, most probably, it is a name that you have heard, when talking about jazz in Europe. In fact, it is home of the international summer festival JazzAscona, which this year will be back for its 29th edition! While the hot and sunny season is synonym of JazzAscona, the rest of the year is dedicated to the Jazz Cat Club. An intimate, though sophisticated venue, that takes after some of New York’s most notorious and elegant music halls, it brings jazz music back in Ascona from October to May. This is where it jazz happens! Once a month, the Jazz Cat presents performances by European and international jazz stars such as drummer Shannon Powell, pianist Dado Moroni, the legendary Ron Carter and ‘the Barefoot Lady’ organist Rhoda Scott. When jazz is not playing, the Teatro il Gatto (the name of the venue during non-jazz nights) – translated the Cat Theatre – offers workshops and courses for aspiring actors and dramaturgists during the week and touchy theatre shows on weekends. Primarily a theatre, the Teatro il Gatto changes its ‘identity’ once a month and name becoming the Jazz Cat Club. A modern music hall that brings jazz musicians from across the world to perform in Ascona, the home of JazzAscona (during the summer). If you are planning to visit the city during the summer, JazzAscona is where you want to go. During the rest of the year, you don’t want to miss the explosive jazz concerts at the Jazz Cat. A unique place that gives you the chance to see some of the biggest names in jazz music in a very intimate atmosphere. 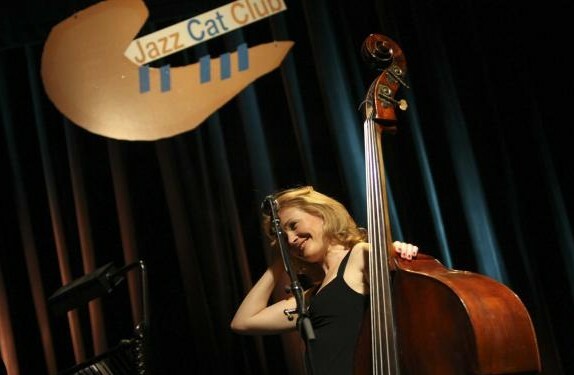 If you are a cool jazz cat, then Ascona’s Jazz Cat Club is your place!